Following enquiries from several BUBO Listers, Elegant Tern has been added as a "provisional" BOU species, following strong claims from Devon and Caernarfonshire in 2002, and Dorset in 2005. If these claims are rejected by BOURC and/or BBRC, however, the species will be removed from BOU lists. Which Indigo Buntings can you count? Indigo Bunting is available to BUBO Listers on lists using any authority. For people using BOU lists, however, it should be noted that the only acceptable bird for this authority is the first-winter male on Ramsey Island, Pembrokeshire, in October 1996. 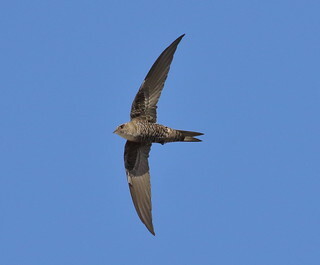 Other records have not been found acceptable by the BOU, including the well-watched bird at Holkham, Norfolk, in 1988. Listers using the "official British & Irish" authority can also count the Indigo Bunting on Cape Clear, Co Cork, in 1985. So far as the UK400 club and Birdwatch magazine lists are concerned, we do not have information on which individuals are considered acceptable. After its escape from the Gloucester tip ringers in December, the Glaucous-winged Gull had not been relocated - until Friday 2nd March. The bird played a game of cat-and-mouse with birders for four days, being noted at Ferryside on the Twyi Estuary, on the adjacent Gwendraeth Estuary and around at Burry Port in the Burry Inlet. The last sighting appears to have been on the morning of 5th March, but it must surely still be out there somewhere and many people will be hoping for another bite at this cherry. Don't forget, if you were lucky enough to see it, you can already add it to your BUBO lists as we've added it as a 'provisional' species.